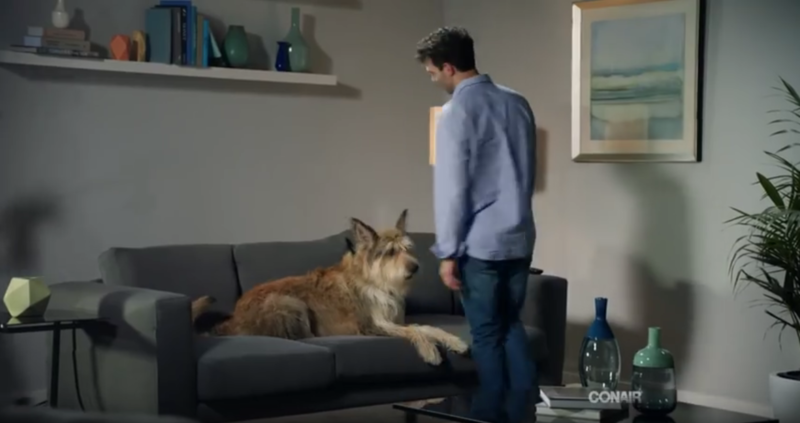 Check out Chester Gigolo’s latest TV appearance in this ad for Conair Steamers. He’s not only the star of Insider Training, but a talented actor, as well! Keep an eye on your TV for Chester’s ad, or watch the video below. And stay tuned for more. This dog is on a roll! Image courtesy of Conair. ©2016 Conair Corporation.